I watched this movie when it was in select theaters, watched it again a few months ago with a friend for $2, and recently again. It’s one of those movies that a handful of teenagers can relate. While there are a few cliche themes like the cliques in school, I think Perks explores different boundaries that make it seem like it’s not just another High School Musical.” I think no matter where you are in the social status—popular or a geek—I think everyone has a piece of Charlie in that you’re trying to discover who you are and where you belong. I was blown away by Logan Lerman’s performance every time I watched this movie, and no, it’s not because I’m biased. He plays Charlie who is the narrator of the movie/story and is a wallflower (essentially he is a shy, awkward boy trying to get by high school). His performance is spot-on because you can sense that Charlie is socially awkward. 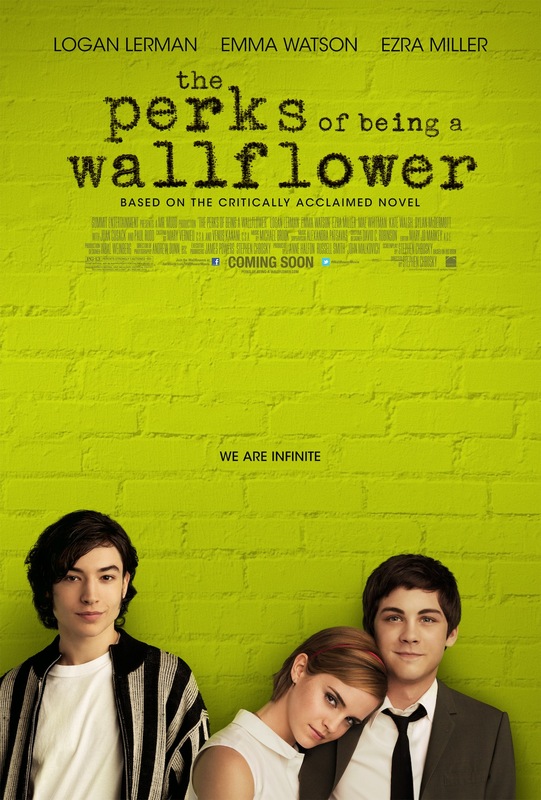 I honestly think Logan Lerman and Ezra Miller, who plays Patrick, are what really makes this movie powerful. Emma Watson, known for her role as Hermione Granger in the Harry Potter films, proves she is more than a geeky, sassy witch. The first time watching the film, I was a little bothered by her American accent, but the second time watching it through, I think she pulled it off, albeit there were moments where I could tell she was trying very hard to maintain her American accent. There are some scenes which I found strange and didn’t quite understand what was going on, but I think that reflects the character’s mentality/state. The script is well-written in that it has a good balance of comedy and solemnity; however, there are a few points that seemed out-of-place and unnecessary (but I think that’s just my opinion). To be honest, I actually expected a very artsy, fartsy film because of the book cover and poster design. Of the times I watched the film, I noticed that it gives off a vintage, old-school vibe (hel~loo, instagram); maybe it might be different on blu-ray, maybe not. I think it’s effective because it somewhat engages the audience to stroll down memory lane. Movie vs. Book: It’s one of those rare times where the movie is better. Charlie’s sister is more of a participant and his relationship with his aunt is more traumatic in the movie than the book. Anyway, I definitely recommend this movie even if you aren’t in high school anymore. As I mentioned earlier, this story and/or the characters relate to a lot of people, maybe to you too.